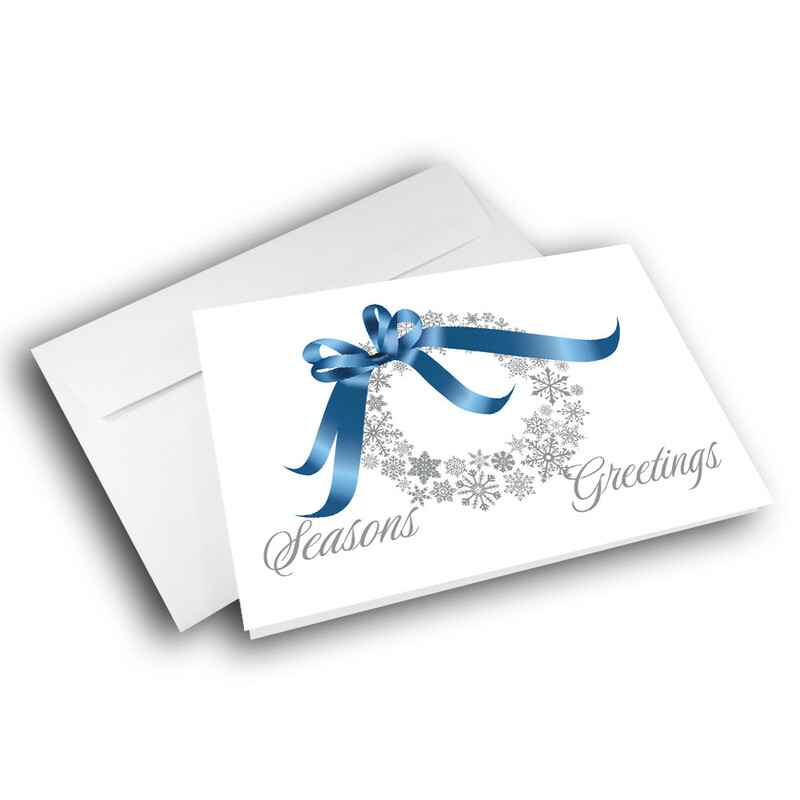 Send a simple, classic card to share your greetings this holiday season. 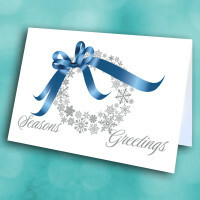 An elegant, classy holiday card, perfect for business or the office. The front is simply adorned with a silvery wreath composed of detailed snowflakes, and topped with a silky blue bow. 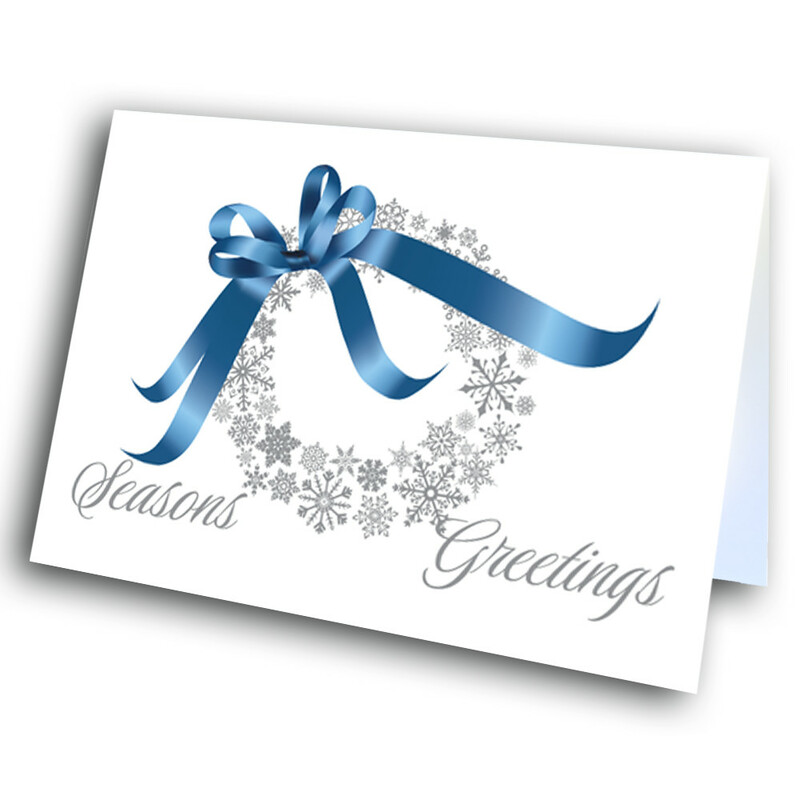 The season's greeting is penned on either side. 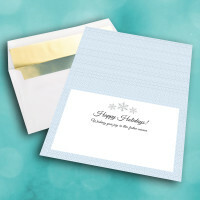 The icy-blue, patterned interior displays the classic holiday greeting. 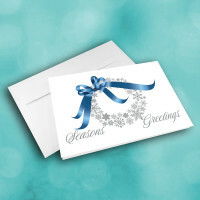 Customize this message to make this card more personal.